TruSculpt 3D body sculpting system gives you the flexibility to non-invasively address the most common body sculpting concerns. The controlled, monopolar radiofrequency technology of the TruSculpt 3D provides up to 24% fat reduction in one treatment. 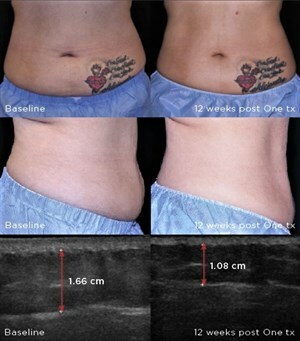 Now you can diminish unwanted fat from large and small areas without having to undergo invasive surgical procedures. The TruSculpt 3D system is designed for those pockets of stubborn fat that generally do not respond thoroughly to exercise or proper diet. In as little as one treatment, you can see up to a 24% reduction in those areas, giving you a renewed contour and firmer appearance. TruSculpt 3D also has the added benefit of tightening loose skin as the full effects continue to unfold before your eyes, generally over a 12 week period with just one treatment. This is how long it takes your body to process the treatment. TruSculpt 3D can be performed in several areas. The most requested procedure is the full circumferential abdomen with side flanks. Other areas that can be treated in a per individual area include the upper arms, thighs, under the chin. For more information and to schedule a consultation, please call us at (718) 336-8400.